1925	In response to the feeling of Nationalism and keeping alive the ancient systems of indigenous medicine the school of Indian medicine was started. The degree conferred at this institution was L.I.M. In accordance to the recommendations of the Usman Committee, Chopra Committee and the Pundit Committee of Government of Madras and Government of India, the character of the institute was changed, upgraded and named as College of Indian Medicine. The College gave the degree as G.C.I.M. The College was again renamed as College of Indigenous Medicine and one of the three systems of Indigenous Medicine, Ayurvedha-Siddha-Unani, should be chosen by each candidate who joins GCIM and Allopathic Medicine was common to all. 1953	The College was renamed as the College of Integrated Medicine. The course was shortened to 4.5 years and one year of compulsory house- surgeoncy on par with MBBS course. Government ensured that the GCIM graduates could practice both the systems of Medicine. In 1959 the lst batch of GCIM students were admitted and in 1960 the College of Indigenous Medicine was closed. 1960	The Integrated Medicine Course (MBBS DEGREE) was started. The first and second year GCIM students were given the option of joining the MBBS course, while the senior students were offered the D.M&S on completion of the course and bringing them into the Allopathic fold. 1965	The College was recognised as Women Medical College and named as Government Kilpauk Medical College, admitting only women candidates for MBBS degree. Meanwhile, those who have completed GCIM, D.M&S were given the option to undertake condensed MBBS course at the Chengalpattu Medical College to obtain the MBBS degree and come into the fold of Modern Medicine. The women students agitated to have a co- educational institution and the erstwhile Government of Madras granted permission and both men and women were admitted to MBBS degree from 1967. 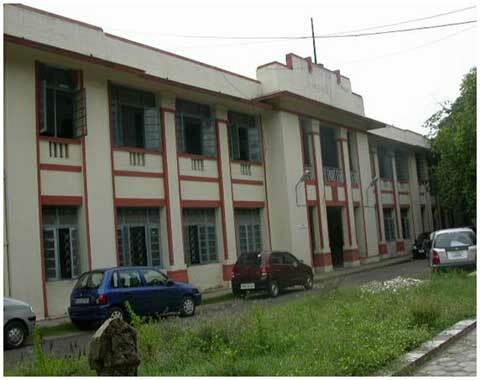 1972	Development of the Medical College is set into pace with the Surgical Block coming into being. Later all the different super-specialities came into being between 1972 and 2001 and stands in its glory to-day. 1981	Intensive Care Unit was sanctioned with 10 beds and was commissioned in June 1981 by Hon.Dr.H.V.Hande, the Minister for Health, Government of Tamilnadu. 50 beded comprehensive Burn unit was sanctioned on the I floor of the out-Patient Block and was commissioned in March 1985 by Hon.Dr.H.V.Hande, then Minister for Health under the Presidentship of Dr.Mrs.Lalitha Kameswaran, then Director of Medical Education. 1984	Department of Cardiology was sanctioned with Prof.S.Thanikachalam as its Chief. 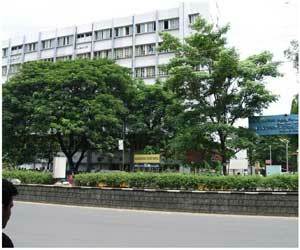 1987	Department of Nephrology was sanctioned and commissioned in July 1987 with Prof.C.M.Thiagarajan as its Chief. 1988	Department of Surgical Gastroenterology was sanctioned with Prof.Srikumari Damaodharan as its Chief. 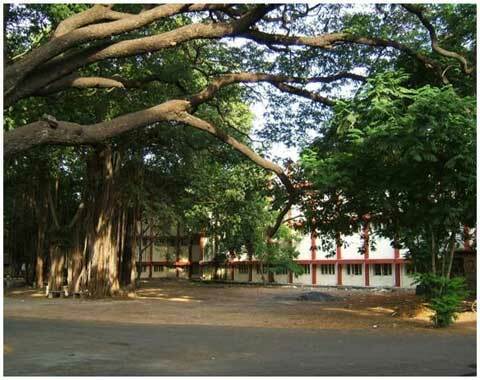 The banyan tree which is more than 100 years old is a proud heritage of this college. It occupies the Central portion of the Campus with its wide spreading branches and foliage. 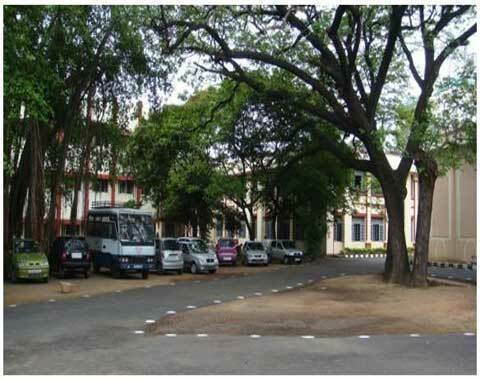 All the faculty blocks are situated around this famous banyan tree. Dr.Srinivasamurthi, a doyen in the field of Indian systems of Medicine, was the personal physician to the erstwhile MahaRaja of Panagal. He owned the entire area now housing the Kilpauk Medical College and Hospital, Dr.Srinivasamurthi was instrumental in creating in the public mind, an awareness to the potentialities of the indigenous systems of medicine and so also he appraised the Maharaja for instituting the School of Indian Medicine. The Raja was so overwhelmed and with joy he donated the entire piece of land under his command and thus was born in 1925, the School of Indian Medicine. The horse stable of his, now presents as the Anatomy Department.Dr.Vaidhyarathinam Srinivasamurthi, was the first principal of the institution. Smt.Rukmani Lakshmipathi, the popular Minister of Public Health raised the status of the institution in 1947 and has risen to its present glory. 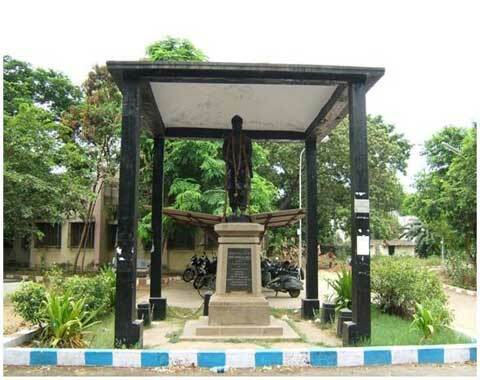 In fond remembrance of the glory of Vaidhyarathinam, Dr.Srinivasamurthi, his statue has been established inside the campus of Kilpauk Medical College. Hospital and situated at the periphery. General Medicine, General Surgery, Paediatrics and Obstetrics and Gynaecology departments with Radiology and Microbiology units were initially established. In 1986 the Department of Digestive Health Diseases was started. In 1994 the Department of Surgical Gastroenterology was started. This is one of the oldest blocks built in the year………… The plinth area is ………..sqmeter in the ground floor and ………………..sqmtr I the first floor. It houses the departments of Biochemistry, Physiology and Pathology. There is a large museum which houses very rare specimens. It also has four lecture theatres with the seating capacity of 100 each and three laboratories. 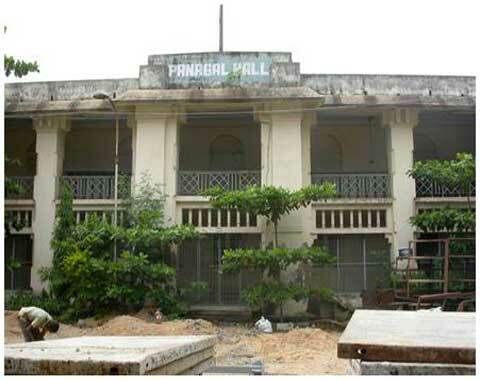 The famous PANAGAL HALL is one of the oldest building constructed and named after its founder. It is the centre stage for the various Academic sessions routinely conducted by the different departments.